Couscous is made mainly from semolina. 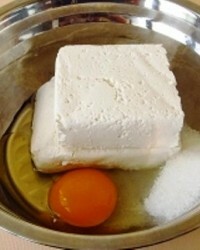 Semolina is sprinkled with water, then grains are formed from this mass, which are then sprinkled with dry semolina or flour, and then sifted. Couscous is known from the 13 century, originally prepared by the manual labor of women, and now the production is fully mechanized. Couscous is a traditional croup of North African countries. In Algeria, Morocco, Tunisia, couscous is loved to eat with vegetables cooked in broth, as well as with chicken or lamb meat. 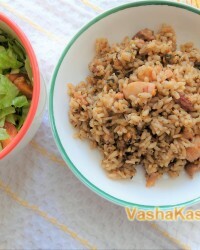 In Libya, cereals are eaten with lamb or camel meat. Couscous goes well with seafood. 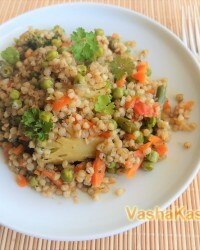 It is also added to vegetable salads and soups. In Morocco, couscous is prepared to prepare a sweet dish of “seffa”: stew couscous, and then sprinkled with almonds, sugar and cinnamon. 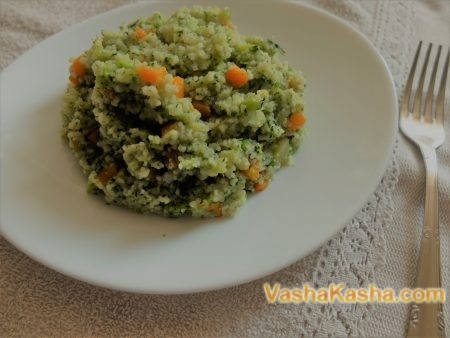 To your attention, I suggest a recipe for couscous with broccoli and spinach, this is a wonderful side dish for meat or a full breakfast. 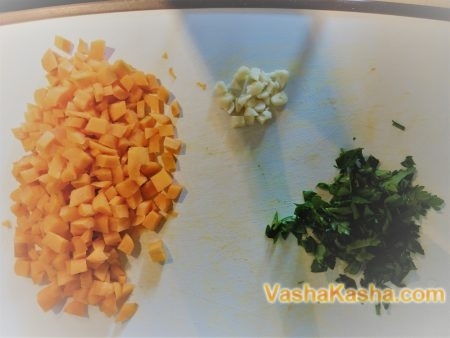 Carrot and garlic cut into small cubes, parsley - chop. 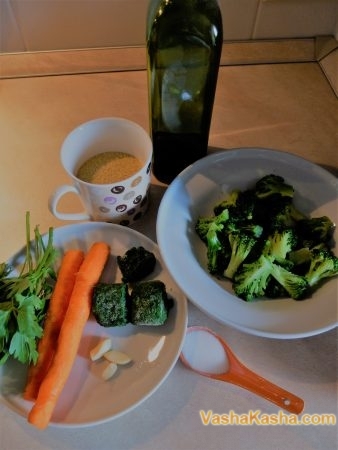 Broccoli inflorescences cut into small pieces. 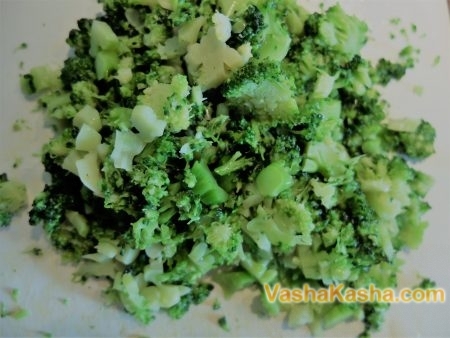 You can use both fresh broccoli and frozen broccoli. 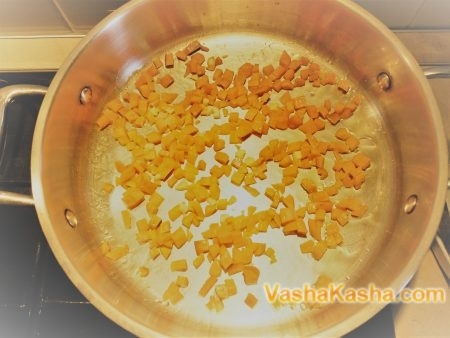 Fry carrots and garlic in olive oil until golden brown. 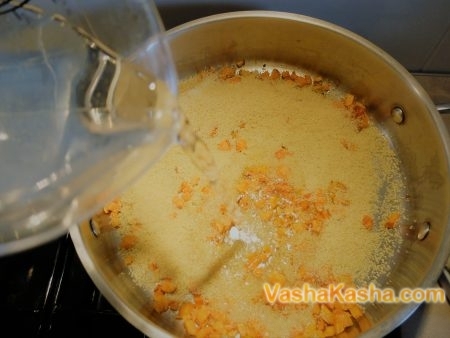 Add couscous to the fried vegetables and fill it with warm boiled water (500 ml.). Cover with a lid and stew over low heat 15 minutes. At the end of the time it is time to add broccoli and spinach. 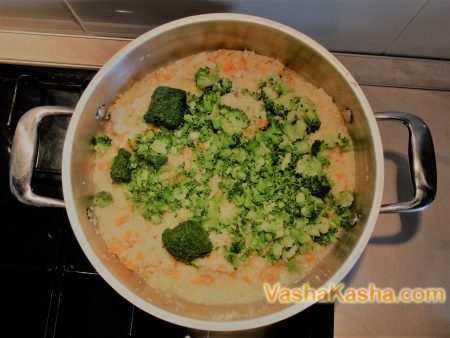 Mix and simmer 10 minutes until broccoli is ready. 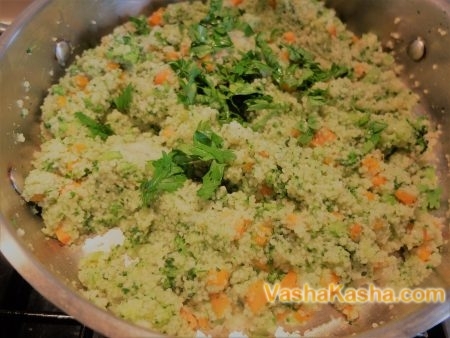 When ready, the couscous absorbed all the water and increased in size 2 times, salt the rump and season with parsley. 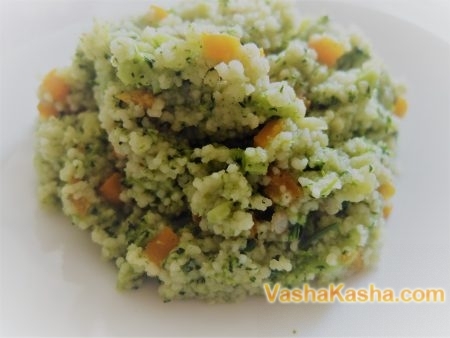 Spread couscous with broccoli and spinach on a plate and enjoy a fragrant and tasty dish. Enjoy your meal!